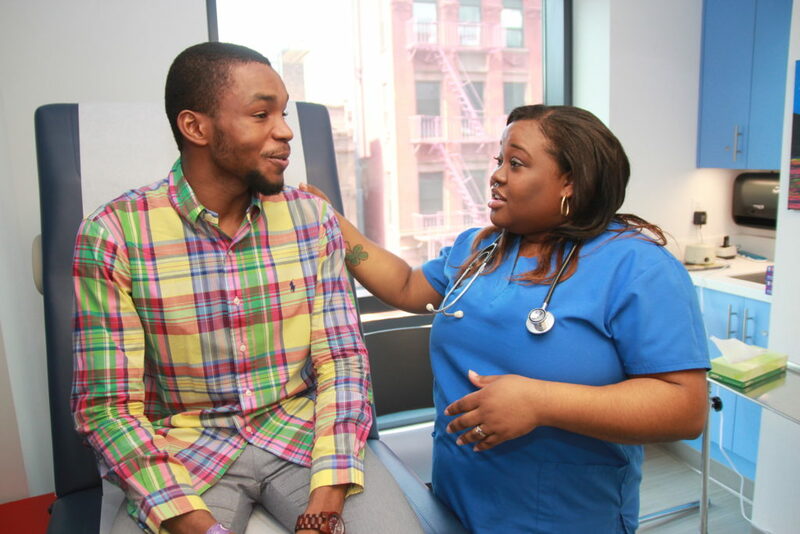 For over 30 years, Harlem United has provided comprehensive, client-centered care to the community. This year, we are able to expand the scope of our care to include cardiology and podiatry services. Before our partnership with Gramercy Cardiac Diagnostic Services, heart doctor referrals for our patients took anywhere from 3-6 months. Now we are able to offer on-site cardiology services. Every Wednesday from 9 AM to 1 PM, a specialist will be at The Nest working together with your primary doctor to diagnose and treat the full spectrum of heart needs. Foot care is also available for all patients at the Willis Green Jr. Community Health Center. Our podiatrist, Dr. Iorio, can help patients with foot pain, toenail issues, and any other foot ailments. Dr. Iorio specializes in diabetic care so he can take special care of our patients living with diabetes and help with managing their diabetes. At your next appointment at The Nest, you can ask your doctor for more information on our new services. If you don’t get your services at The Nest yet and want to request an appointment, click here or call 212.864.2780. No Replies to "New Services Available at The Nest"